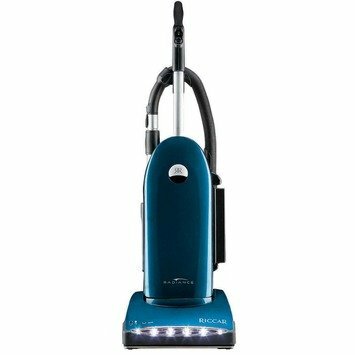 Here is a great vacuum for all kinds of floor surfaces; pile carpeting, area rugs and smooth floor surfaces. With Miele’s patented SwivelNeck technology for great maneuverability, on-board tools, and a 7-year motor warranty this is an outstanding value. Pet owners take note. This model has four variable power settings and on-board tools but the best feature, besides Miele’s SwivelNeck technology for maneuverability and 7-Year motor warranty, is the active charcoal filter which absorbs odors before the air is recycled back to the room. This HomeCare products has everything you need to take care of the cleaning of your home. This rugged unit features exceptional cleaning, unmatched maneuverability, and a 7-Year motor warranty. This model brightens things up with an LED headlight and an active HEPA filter in addition to Miele's SwivelNeck technology, 4 variable power settings, on-board tools and their 7-Year motor warranty. Its automatic carpet height adjustment handles pile carpeting, area rugs and smooth floor surfaces. The Vibrance Entry steps you into the world of quality vacuums at an affordable price. This "Made in the USA" unit is manufactured in St James, Missouri and has a powerful 10 amp motor, on-board tools and a comprehensive 3-Yr warranty. Feeling classy? This Vibrance Classic has 10 amps of power, HEPA Bag and foam filter, on-board tools, a 3 Year comprehensive warranty and is manufactured in St. James, Missouri. Brilliant? Definitely. Premium quality? Absolutely. 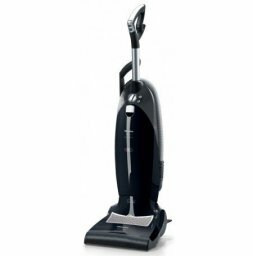 Make a great choice with this world-class vacuum that has a Tandem Air System, 7-Stage HEPA and Charcoal Filtration, 5 Position carpet height adjustment, on-board tools and a lifetime belt. Manufactured in St. James, Missouri it comes with a 7-Year Warranty. Here is a great choice from Riccar. With Tandem Air System, 7-Stage Electrostatic & Charcoal Filtration, a floor selection switch, 4-position carpet height adjustment, on-board tools and a lifetime belt. Manufactured in St. James, Missouri it comes with a 7-Year Warranty. 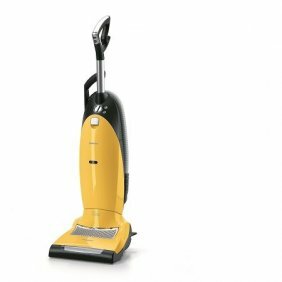 This Brilliant Tandem Air System vacuum has plenty of features including a 40' cord, on-board tools, 6-stage HEPA filtration, 6 position carpet height adjustment, and a 6-Year Warranty. Pet friendly with 7-stage HEPA charcoal filtration, 6 position carpet height adjustment, Fur-Get-It pet hair removal tool, this Brilliant Tandem Air vacuum has a 7-Year Warranty. This radiant machine has everything to clean your home! 40 ft cord, Hall sensor belt protection, tools, 7-stage sealed HEPA media with granulated charcoal filtration, self-sealing HEPA bag system, dirt sensor, filter check light, 6 position carpet height adjustment, aluminum brushroll, replaceable brushstrips, hand turbo, Soft Sweep floor tool and an 8-Year warranty. Riccar's Radiance R40 is just one step down from the R40P, with a 40 ft cord, Hall sensor belt protection, tools, 7-stage sealed HEPA media with charcoal filtration, self-sealing HEPA bag system, filter check light, 6 position carpet height adjustment, aluminum brushroll, replaceable brushstrips, hand turbo and a 7-Year warranty.